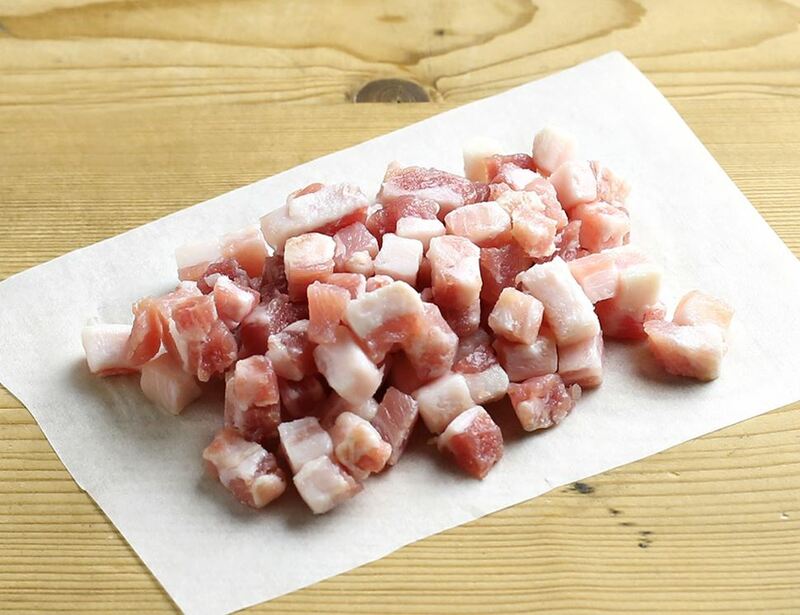 This pancetta is a bit sweeter than its sliced cousin as it hasn’t been aged for as long. The rind is removed and it is rubbed with salt and spices and left to cure for 15 days. Then it's cut into cubes that are ideal to toss into your cooking (this shouldn't be eaten raw). Charcuterie afficionados Pedrazzoli call the wonderfully fertile and productive land of Emilia-Romagna their home, a territory in the north-east of Italy. Their hands have been busy making fine Italian meats since 1951, putting over half a century of experience under their belts. In 1996, they were one of the first salumificios (Italian for where cured meat is produced) to switch over to organic completely. Bravissimo. sodium nitrite*. * = produced to organic standards. For allergens, including cereals containing gluten, see ingredients in bold.